BRAND NEW 98-04 Dodge Intrepid Dual Halo LED Black Projector Headlights w/Amber Reflectors + Day Time Running Chrome LED Fog Lights! 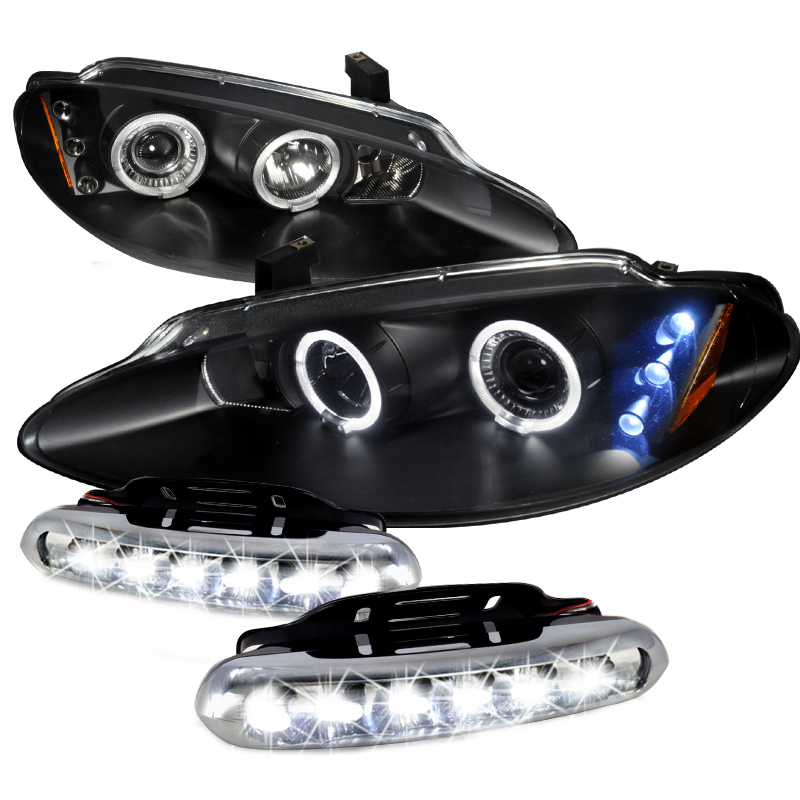 The 1998-2004 black Dodge Intrepid projector headlights are the best way to express your style. Unlike the dodge stock projector headlights that are made without the halos (angel eyes) and the LEDs; these lights have the halos and LEDs built in. Furthermore, the style and quality is not added to the cost of the lights. You can still get both driver and passenger side lights for only a fraction of the stock factory Intrepid headlights cost. So don't hesitate on treating yourself with a sleek new look.